Climate-Friendly Gardening - The Gardeners Porch We did not find any matches for your request. We did not find any matches for your request. Climate-friendly gardening involves using natural gardening practices to reduce emissions of greenhouse gases. Plus, these practices encourage healthier soil by improving the absorption of carbon dioxide - which also reduces the issues with global warming. * Peat moss - Stop using peat moss or any compost that contains peat because it’s damaging to the environment. * Renewable sources - Use renewable sources for building materials, such as bamboo. * Cover your soil - Don’t leave your soil naked between growing; use a cover plant that adds the right nutrients to your soil. * Use human power - Avoid gas and instead use gardening tools that are human or electric powered. 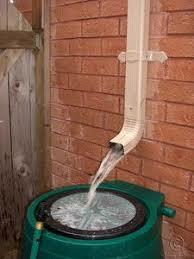 * Use rainwater - Avoid watering your garden with tap water; instead use rainwater catchment. While this is not a gas, it does behave as if it’s a greenhouse gas because it absorbs heat. You can cut down on this problem by not burning weeds - or at least not burning them while they’re wet. Black carbon is also produced by transporting garden products to chain stores. Try buying locally to cut down on black carbon. What you plant in your climate-friendly garden depends on many factors that you’ll need to know and consider before choosing the plants that you’re going to grow. * Go by Your Climate Zone – Before you even plan a garden, you need to know your climate zone. In the USA, you can find your zone by using the USDA (United States Department of Agriculture) map. In Canada, you can use Natural Resources Canada to find your hardiness zones. * Understand Your Area – Once you know what zone you’re in, you need to read up on the zone to know what plants work well in your area. The more you understand about your local area, the better you’ll do choosing the right plants. Plus, get to know your own land. Find out what plants are already growing naturally. * Talk to Other Gardeners – One way to really succeed with a climate-friendly garden is to talk to other gardeners in your area who are using these practices. You may even be able to find a professional to help you get started. The first couple of years of your climate-friendly garden is very important and can be helped by professionals. https://www.youtube.com/watch?v=cGokDIXbt9Q * Use Native Plants – The best way you can make your garden more climate-friendly is to use native plants. What plants have a history of growing in your area and are considered native to the area? How can those plants work for you and serve your garden? When you plant native plants, they are ready for the environment. * Avoid Lawns – Instead of planting grass lawns, consider using native ground covers that will look just as beautiful and require less care. Grass takes a lot of water to keep it healthy, as well as a lot of labor that can best be used elsewhere. * Buy Younger Healthier Plants – When you buy plants, go for the younger and healthiest plants that your local nurseries offer. 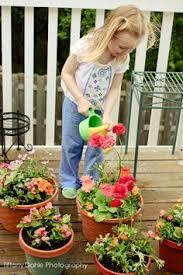 Ask your local garden shop where they got the plants and what their gardening practices are to be on the safe side. `* Use Container Gardening – One way to help your garden is to also use some containers made from bamboo and other sustainable or recycled containers. Then you can move these containers to safe places if the weather is bad. * Plant Fruit Trees – One way to affect the climate in your garden is to plant trees. Planting fruit trees does double duty to provide fruit and cover, which can shade super-hot areas of your garden and protect less hardy plants. * Don’t Overwater – Another key for any plants that you take care of in your garden is to avoid overwatering. That means that you should use hardy, drought-resistant plants that are native to your area so that you can water less. Growing a climate-friendly garden will not only help you save your little area of paradise from being an addition to global climate change, but it will also change the climate for the better in your garden. Grow plants native to your area, meant for your climate, and don’t use unnatural methods to encourage growth. In this way, you’ll have plants in abundance that are healthier for you and everyone else too. Saving water is important to the climate-friendly gardener - whether there is a drought or not. You can conserve water and keep growing in your garden if you use the following tips for watering your garden the climate-friendly way. Pretty much all gardening successes start with using the right soil. You need to build up your soil by testing it and adding to it the nutrients that you need. You’ll want to use a lot of rich compost that you can make yourself. You also need to add mulch and cover your garden between growing seasons to help reduce evaporation and keep down weeds that also compete for water in your garden. Spend the time necessary to improve your soil before you even start planting. You can plant your garden in such a way that you can create micro climates. For example, the right plants planted together can create shade for the soil and reduce water evaporation. Put plants together that need similar amounts of water and that produce abundantly, avoiding water hogs like broccoli and cauliflower. In addition, if you have a particularly hot and sunny area, you can plant trees and shrubs strategically to provide shade and wind blockage, also reducing the need for watering. Native Americans plant different plants together based on their water needs and the nutrients put into their system. For example, planting legumes to help boost soil nitrogen levels, and corn which acts as a support for the legumes as they grow up. Then you can also plant squash because the bristles on them protect the corn from earworm and act as shade for the soil. Time planting when it’s not hot and sunny so that your plants can establish a root system prior to the hot and sunny time. When the roots are deeper into the soil, they’re stronger and can fight against drought easier. Plus, it helps to know what stage your plants are in because their water requirements depend on the time it is. Many gardeners overwater a lot of their crops due to not understanding this. Many vegetables require watering only when they’re flowering or fruiting. Certain plants use less water than others and will grow better with less water. Look at swiss chard, asparagus, artichoke, chickpeas, lima beans, certain varieties of squash, cantaloupe, peppers, cucumber, sage, oregano, thyme, lavender, rosemary, pineapple tomatoes, and some chilies. https://youtu.be/rC57Vs6gEYA One of the best ways to conserve water is to use a deep root drip irrigation system in your garden. This will encourage roots to develop deep into the soil instead of higher up, which can happen from watering from above. Use the irrigation system to measure and give the plants only the amount of water required to make up for lack of rain. Watering your garden the climate-friendly way is a win-win for the gardener and the environment, because by setting up your garden correctly from the beginning you cut down on the amount of work you need to do making gardening that much more pleasurable and bountiful. If you want to be part of saving the environment, these tips for the climate-friendly gardener will help tremendously. There is no reason you can’t have both a beautiful yard and a fruitful garden without ruining the environment. In fact, you can improve your soil and create an almost self-sufficient garden by using these climate-friendly gardening practices. 1. Ditch Your Gas-Powered Mower - Use a manual push mower or an electric mower to cut down on carbon emissions when cutting your grass. A manual push mower is also thought to be better for grass because it cuts it longer and clips it off differently than a gas mower. 2. Plant Trees and Shrubs - When you plant native trees and shrubs strategically around and within your garden, you can create an environment that you have more control over than you may have thought. For example, if you have a super-hot sunny area, you can plant trees to bring some needed shade so that plants don’t burn in the sun. https://www.youtube.com/watch?v=DvyQXtvCQWc3. Choose Native Plants That Are Adaptable - One problem with current gardening practices is the desire to grow too many non-native plants. You need plants that are meant for the environment you live in. Pay attention to how your climate is changing over time, because what worked ten years ago might not work now. 4. Avoid Using Non-Permeable Surfaces – Asphalt, concrete, stone and brick might look nice but it’s better to use planting beds, mulched beds, gravel, and other permeable pavers so that water can be absorbed into the soil more easily and you won’t end up with a superheated area of your garden. 5. Plant a Diversity of Plants - Using native choices, plant a lot of different types of plants for your needs. You can reduce soil erosion with properly placed shrubs, trees, and cover plants. You can plant pollinators, water collectors, and beautiful flowering plants that help ward off pests. 6. Grow Perennial Plants – You don’t want to have to keep replanting every single year four times a year. Instead, plant perennials strategically so that each year at the right time of year you have new plants without messing with the soil and digging all the time. 7. Don’t Leave Your Garden Soil Naked - For your food gardens and any soil that you’re preparing, it’s imperative that you don’t leave your soil uncovered. You can cover it with natural mulch, compost, and straw. Or you can grow ground covering such as legumes which will add nutrients to the soil. 8. Think Maintenance Free - When you are planning your garden, try to think about the type of maintenance that you’re going to have to do to keep the garden going. Plant and design with that in mind so that you can work with nature instead of against it. 9. Conserve Water – When you do work with nature, you also naturally conserve water. For example, having higher grass will improve the roots so that you don’t need as much water. Collecting rainwater will help you conserve water too. Plants will grow when they are given nutrient-rich soil, the right amount of water, sunshine, and care. This happens naturally in nature. There are 2000-year-old food forests that still produce (with very little if any intervention) food that feeds people. Nature is wonderful and knows what it’s doing. It’s up to us to figure out what we can do to help rather than interfere. Home gardeners are on the first line of defense to protect against climate change. They see the effects of poor gardening practices right in their own backyard with poor soil, erosion due to harsher weather, and fewer pollinators due to failing to plant natively. But, it’s not too late; as a climate-friendly gardener you can improve your own little piece of heaven. * People Power – Try to use tools that don’t use gas or electricity when you can. Hand tools and your own bare hands are better for the environment and your garden than gas-powered tools that add carbon dioxide to the environment. * Rich Soil – Your most important ingredient for gardening is using the right soil for the plants that you want to grow. Do not use synthetic ingredients in your soil. Plants take CO2 from the air and turn it into starches and sugar. This combines with other types of carbon which then turns into a plant that people and animals eat. * Composting Equipment - The one thing you really want to do to practice climate-friendly gardening is to compost. To accomplish this, you simply need an aerator, air, water, the sun, and organic material. You may need a hand cultivator or fork, a screener, and something to collect kitchen waste in to help. * Electric Mower – A gas-powered mower puts too much carbon dioxide into the air and should not be used by the climate-friendly gardener. Therefore, look for electric mowers because they are healthier for the environment. 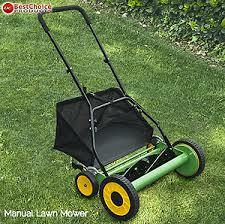 * Push Mower - If you really want to impact the environment positively, a manual push mower will work best. It’s good for the grass too because it cuts it differently than other types of mowers, with less damage. * Organic Fertilizer - Try to avoid synthetic fertilizer and use only organic fertilizers that aren’t fuel based. They should have the right compounds for your needs based on the tests you perform on your planting areas. You can use manure from cows and from chickens. * Chickens – Chickens are great for gardening as their manure is a good source of nitrogen for your compost pile. They also work great as they can clear up to 50 square feet of land per chicken within six weeks. * Plant Cover Crops – Also, never leave your garden soil empty. Always replace crops with a crop cover of some kind to keep the soil healthy and manage erosion, weeds, and diseases. Plant grains, grasses, and legumes make good cover crops. * Trees and Shrubs - Control water runoff, plant damage, erosion, and even cool down a hot spot in your yard with the right trees and shrubs. 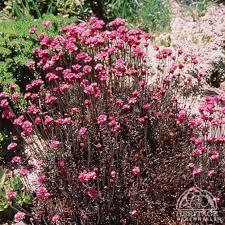 Look for native plants for the best results that most fit your needs. Using these tools and your own bare hands, you can create a fruitful garden that gives you all the food you and your family need, while improving the environment instead of ruining it. In fact, if everyone used these same tools and practices in their gardening and yard care, we could help slow down climate change damage.